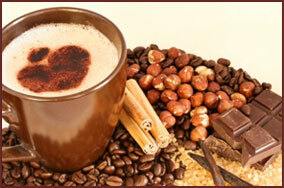 Offer your workforce a steaming cup of delicious coffee any time of day or night! 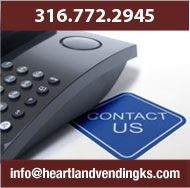 With Heartland Vending's popular Office Coffee Service, you're never without a fresh cup of your favorite coffee or tea. 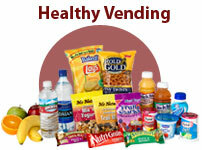 We stock major name brands including Yuban, Folgers, and Maxwell House along with Lipton Hot Tea and Hot Chocolate. 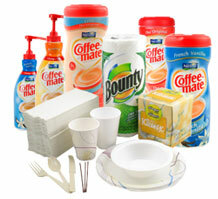 You get trouble free service with our professional Airpots and 3 Burner coffee delivery systems. We provide all the necessary supplies for your office coffee stations including creamers, sugars, cups, napkins, stir sticks and more. With us continually stocking, you will never be out of what you need to enjoy a great cup of coffee at a moment's notice. Now employees no longer have to leave the workplace to get their cups of coffee. You get more done with happier employees and customers who see your inviting office coffee as a superior option. 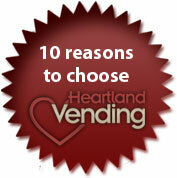 Enjoy a pure, great tasting cup of water with Heartland Vending's Water Filtration Services. Our bottle-less filtration systems dispense both hot and cold water whenever you like. We can connect the system directly to your water supply delivering fresh and clean water at low cost.